NOTRE DAME CATHEDRAL BURNING: Is the Islamic State (ISIS) making good on its threat to attack French landmarks like Notre Dame? In France, 50% of the French jihadis who fought abroad with ISIS re-engaged at some point in terror networks after they returned, and all major terror plots foiled in France since 2000 involved Muslim returnees. Such plots included the Strasbourg Cathedral Plot in 2000, the U.S. embassy bombing plot in 2001, a chemical attack plot in 2002, and plans to bomb the Eiffel Tower and the Notre-Dame Cathedral in 2010. CTC.USMA The Paris attacks of November 13, the deadliest terrorist attacks on European soil since the Madrid bombings on March 11, 2004, were the latest indication that the Islamic State has morphed from a regional to a global threat, a threat that could increase if the Islamic State decides to further “weaponize” its Western recruits. After the January 2015 attacks in France, several foiled plots provided evidence of planning and operational connections with Islamic State cadres or militants abroad. The complexity of the latest attacks and the level of planning and preparation required suggest Islamic State fighters are adapting to the law enforcement and security measures arrayed against them, which raises significant concerns and questions about the viability of the status quo in the European security paradigm. The Paris attacks and the plots uncovered since January provide several important indications of the status and evolution of the threat against France and Europe. The Islamic State’s move toward “weaponizing” its Western recruits, if sustained, may likely lead to a major increase in the level and scale of the terrorist threat. Islamic State’s apparent desire to maximize casualties and the impact of plots against the West may result in it orchestrating more sophisticated plots, involving a high level of planning, preparation, and commitment, and trained fighters instead of inspired sympathizers. I’m actually surprised that AOC, IH & RT haven’t issued a joint statement accusing the Chief Rabbi of Paris of setting the fire so that Jews would have a convenient & centrally located site in which to burn their chometz before Pesach! Just sad to watch such an iconic symbol of Christian Europe go up in flames like that. Now the Islamic world starts rejoicing and praising Allah for devastating the infidels…..
Make way for the El Al Macron Grand Central Mosque in Paris !!! The bastards wanted to build a mosque at the World Trade Centre site, but thankfully they were prevented. But this fantastic multicultural opportunity allows Macron to build a multi-faith centre more fitting to the current (and definitely future) demographic of France. This “cui bono” event is as always good for the New World Order, and very bad for the old Western Christian traditionalists. There is absolutely no way that Notre Dame will be rebuilt as-is. There will be a concession to the pigfuckers. Allah Akbar will ring out across the heart of Paris. I’d be looking at the motives of “Mohammed’s Roof Restoration”, who were lead contractors on the reroofing job. Or perhaps the Muslim Boy Scouts climbing club visit that just happened to be there right before closing when the fire started. The colour of the smoke is amazing – a pale pastel yellow, the colour of lead oxide. Expect a whole year group of retarded Parisian kids to be born. It wont affect the Muslim kids with their extravagant IQs of about 70 because you can’t get lower than “full retard”, but the Celtic-Saxons will be about as smart as one of them. The first thing that came to mind when I saw that sorry burning tower falling were the 9/11 Twin Towers. Sorry, I made a mistake as to his name. It’s Paul Joseph Watson. And this is a link with many tweets of the Christians singing in farewell and love of God, their mystic beauty sent chills down me. 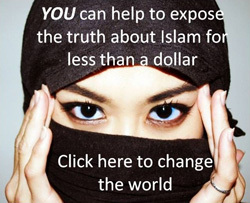 Many Muslims are consumed with terrible hate for the Biblical, Beautiful Saviour Jesus Christ. Time columnist said that Jesuit he interviewed said that cathedral staff told him the fire had been deliberately set. John Paul Watson showed a video of the blaze with over a thousand smiley faces with Muslim names under it. And I just saw a tweet showing Christians outside Notre Dame singing a hymn together of surpassing beauty. That church has stood for 800 years and just happens to be burnt to the ground right after isis threatens to do so? More then a coincidence. The French really should bring back the guillotine specifically for these kind of crimes. But that will never happen, no balls, the leftist loonies run the show. And just happens to be burnt right before the Easter holidays. watching live on TV…thinking it is NOT a ‘coincidence’…and waiting for your reaction ! You are the best, always ! There will be a lot more churches going down, courtesy of the Muslum invaders. Europe will have to decide what is more important to them: God or Allah/Satan. They’ve already decided. We’re watching it. Could be a Reichstag type fire to blame the Moslems but all workers working on the restoration should have their backgrounds checked out. Let’s wait and see what they find out before anyone jumps to conclusions. My first thoughts were Muslims did it making good on their threats. I’d rather jump to conclusions. I’m right 99.84% of the time. So, I wonder what excuse ‘macaroni’ has about this one! They need to investigate if any muslims were working on the renovations there. I do agree about Muslims working for the restoration contractors. But it could also be Muslims as visitors who knew the layout plans of the Cathedral. This was intentional and planned. It’s quite strange that the fire broke out six minutes after the Cathedral had locked its doors with nobody inside. There are now reports of two fire sources which is totally credible in view of its intensity and quick spread throughout the structure. 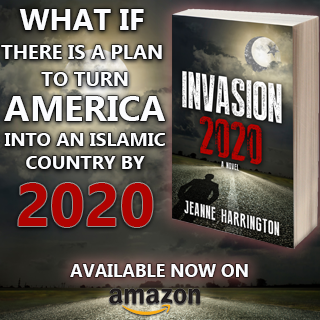 Islamism is everywhere and it has its army of volunteers willing to do the work to destroy Christianity and spread terror. Although this magnificent work-of-art can never be restored to its historical nature, let’s pray that French people reflect on their religion and start filling the pews of their churches, in retribution. Time will tell. I just posted an interview where the FOX host cut off a French official who suggested it wasn’t an accident. WAsn’t that long ago on this site I postulated this would happen. It is by the hand(?) of moslems. Truth will never be known. 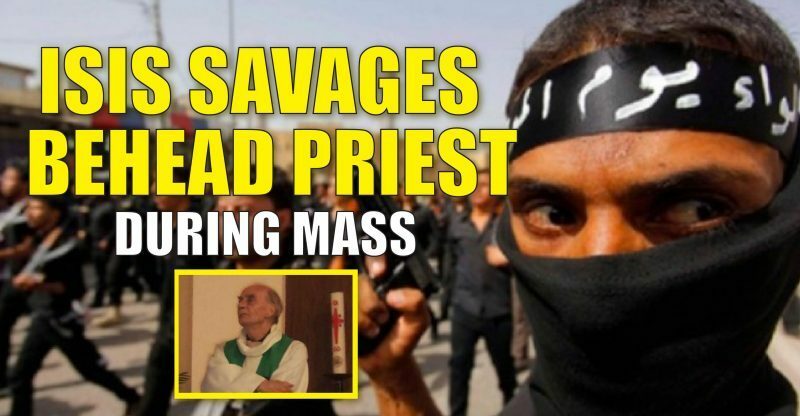 Moslems have a habit of and take great pleasure in destroying Christian churches and holy places. All it take to support this is to read woirld news. Well well well imagine that the same country that is on fire on a daily basis , thanks to the lovers of peace and brotherhood…. is on fire again.. THIS IS DELIBERATE ABSOLUTELY DELIBERATE. The amount of flammable material needed to explode at one time .. you do not have to be an expert to understand that..
Ruth, yet the truth eventually will come out. “Remember the Alamo” I pray that this will be France’s Battle Cry. Europe you are allowed muslims to have upper hand. I am not Catholic…however I am a bit of an architectural historian. And of course, it is a horrible devastation that has hit this historic cathedral. I must admit, I am hoping with every fibre of my being that our buddies of the Koran are responsible. 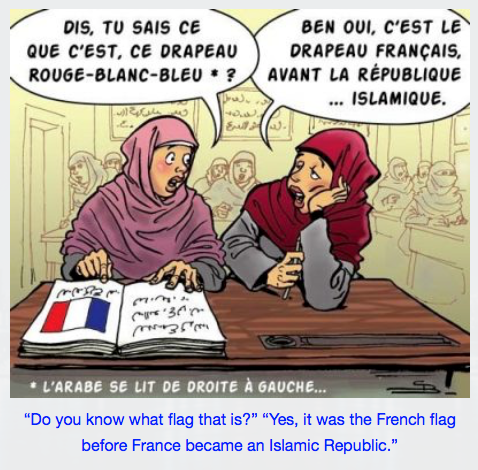 We shall see…we shall see…and don’t underestimate the French government to do whatever they can to hide that possibility if it is indeed a fact. It is a shame that in 2019 people have to be cautious as to what “The Official Story” will be about such things. I tend to disbelieve the first accounts of what happened, or at least take them with critical thinking. According to FOX and CNN the fire department seems to be conspicuous by their absence…WTF! Stay tuned…She sure did GO UP in one helluva hurry!! Which moslem group will claim credit for this?